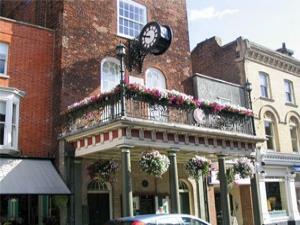 Group Visits at The Moot Hall01621 856503 work Group VisitsIn a prominent position on the High Street, this imposing building with its flower bedecked balcony and striking belltower is easy to find. The building began almost 600 years ago as the family manor house of Sir Robert D’Arcy, a powerful figure in his day. Groups weekdays by prior arrangement.